Film (Short) Da che parte è la notte? 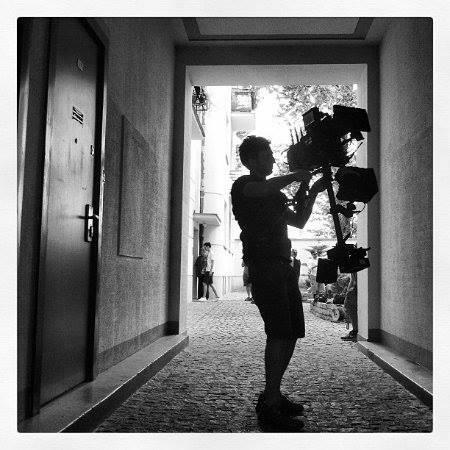 After having completed a professional course with the Steadicam Services of Alessandro Bolognesi and of the improvement with the Steadicam Centre of Sergio Melaranci within the film studios of Cinecittà, I started to work with producers of film, television and advertising on an international level: Italy, Poland, Egypt, Romania, Spain, Scotland and Ireland. In 2011, I started to collaborate with some of the most important rental houses of Rome, such as D-Vision /Movie People, Steadicam Services and 4UVideo; thus learning to manage the best digital cameras used in filming, such as; ARRI Alexa, RED, Sony, Canon, BlackMagic. The equipment used during filming include: Steadicam mod 3A: sled, vest, arm, battery, transmitters of HD video 1080 p, low mode, car mount for any camera up to a weight of 25 kg. I also have a DSLR Canon 5D Mark II camera and a mini Steadicam hand to DSLR cameras or video up to a weight of 3 kg. I have worked with the main television channels, such as Rai, Mediaset, La7, Sky, Discovery Channel and in films that have featured in the Rome International Film Festival.